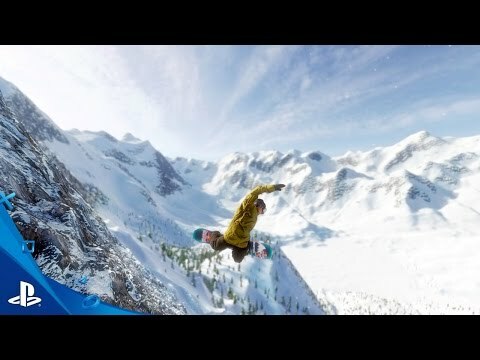 Infinite Air is equipped with an enhanced editor that allows players to create custom parks for complete immersion into the sport of snowboarding. Get to know the snow like never before as you build the ultimate runs with jumps, cliffs, rails, ramps, slaloms and countless other items, taking the next step to defining your riding style! Challenge friends to ride your runs and compete in real-world competitions like Slopestyle and Big Air! Drop in by helicopter anywhere you wish, on fresh powder in the backcountry or awesome runs in the park! © 2016 HB Studios Multimedia Ltd. Developed by HB Studios. HB Studios, HB Studios logo, Infinite Air, and the Infinite Air infinity logo are trademarks of HB Studios Multimedia Ltd. Athlete name and image rights used under license. Published under license by Maximum Games™. Maximum Games™ and the Maximum Games™ logo are trademarks of Maximum Games, LLC. All rights reserved.